allstaractivist note: Gang Stalking aka Organized Stalking is real, no doubt about that. The problem is that it is basically a military operation of counterintelligence. What that means is that it is perpetrated by entities very well educated in how to confuse, mislead and ultimately kill their enemy. They are very experienced and good at conducting what is known as “Psychological Operations” or “PSY-OPS”. Since September of 2014 when first discovering that I was a “Targeted Individual” I have learned a lot, as well as made some mistakes. Being just an ordinary person who was never in the military nor had any experience in dealing with spy stuff, it hasn’t been easy sorting out the lies from the truth. What I have learned is that not only do the Gang Stalkers stalk you in the real world, they pollute the cyber world as well with disinformation and bogus entities. 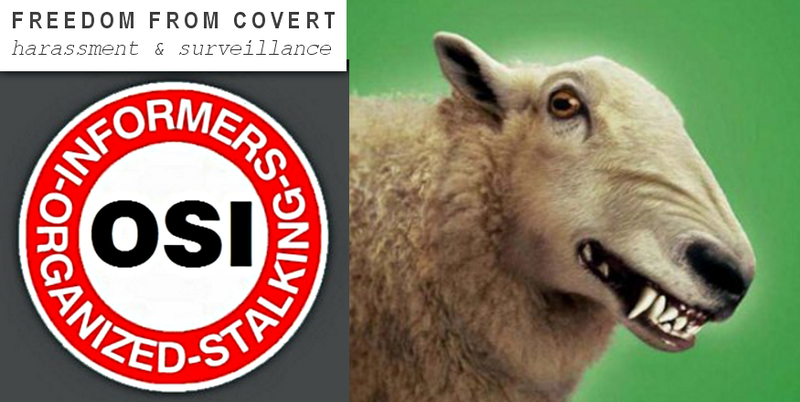 If you are not careful you can fall prey to their disinformation traps and think that you have found safe harbor when in fact, you have chosen to befriend a wolf in sheep’s clothing. Perhaps the best approach is to consider every piece of information food for thought and to verify whenever possible. This is my attempt to correct some of my earlier mistakes and to help other TI’s looking for real answers find their way easier. This one was really painful for me. It was because of Alex Jones’s show called Infowars that I came to realize that I was in fact, a Targeted Individual. Mr. Jones was interviewing Dr. John Hall about a former patient he helped who turned out to be a Targeted Individual. The description of what Dr. Hall’s patient went through caused me to realize that I was a Targeted Individual of Gang Stalkers as well. Let me first just say that one of the principles of disinformation is that it gives you a lot of truth just to feed you a few critical lies. A poison apple if you will. Not everyone who comes on the Alex Jones show is a bad guy, many are sincere, that is the appeal. It takes a while but sooner or later you begin to notice things that just don’t add up. Too many whistle blowers who do interviews on the show end up dead. The advice and instructions given just don’t jibe with your own personal experiences. Being able to get both access to and information about “the Enemy” that seemingly no one else can. Finally, a big red flag for me is Mr. Jones refusal to acknowledge the existence of or even say the word “Gang Stalking”. I have an additional and very personal reason for determining Alex Jones to be a disinformation agent, but I will leave that to a later time. Yes, you will find posts on my blog that feature articles by Infowars and Alex Jones and yes, they may actually offer good information. If you read them just remember this disclaimer and be of a critical mind. The best advice that I can give you is to use your own judgment and analyze everything. Take the good and throw away what you can’t use or seems dubious. I was hooked on this website right up until just a little while ago, convinced that it was legitimate. It’s hard to believe the amount of effort and expense the Gang Stalkers will go to mislead and cover their tracks, further victimize their targets. The single and only incident that I can point to which convinced me that this site was bogus is when I wrote in a post that I would try to contact the owner of it. Two weeks after stating my intentions I was reading the site hoping to find some contact information. On that page were news stories of the recent Myron May shooting with other supposed violent acts committed by Targeted Individuals. At the bottom of the lengthy articles was a very random single paragraph detailing an incident in Canada where a TI had stabbed someone. The owner of Fight Gang Stalking added a short quip in which he apologized for the random nature of the article but that he had included it hastily because someone had mentioned it to him. Why is this significant you ask? If you consider that Gang Stalking is a network, then the network communicates with it’s members. Everyone in the network stalking you, shares information about you. It’s like you have an intelligence file they pass around to each other with all your information. I open carry a large fighting knife and used to carry a hatchet. The Gang Stalkers have continuously been trying to get me in trouble for that. 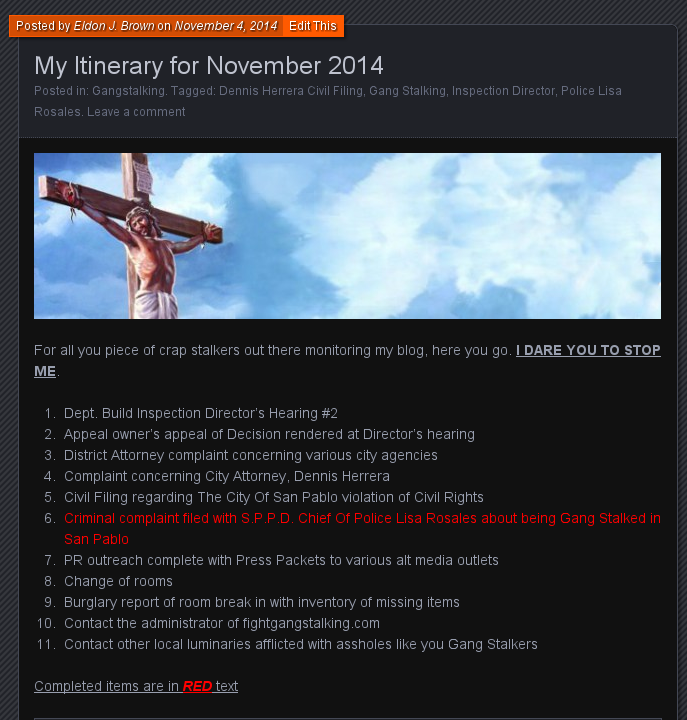 When I wrote on November 4th, 2014 that I was going to attempt to get in contact with the owner of “Fight Gang Stalking”, alarm bells went off. 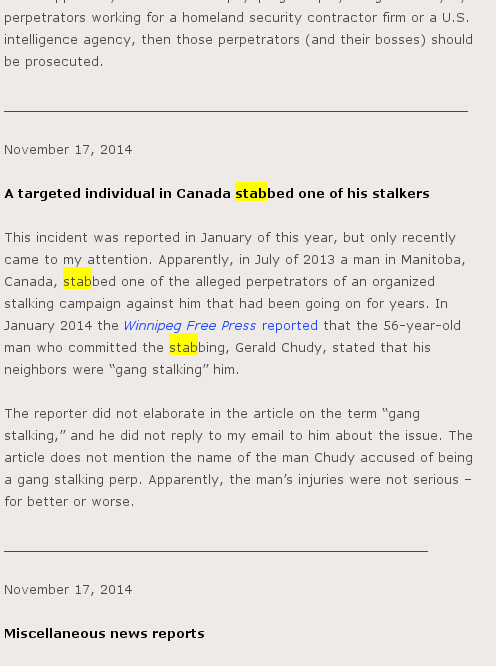 To ward me off, the article about the TI who stabbed people was quickly posted on November 17th, 2014. After all, if you are a Gang Stalker running a disinformation site and the network alerts you that a troublesome TI wants to make contact, he might figure out you’re a phony. Oops, too late. Item #10 on the list, to contact the admin of fightgangstalking. Random story about a stabbing in Canada. Item #10 where I wrote my intention to contact the admin of fightgangstalking. This one is rather obvious, much to0 big and much too slick to be legitimate. Besides, I keep getting emails from people whom supposedly are TI’s that encourage going to this site. They usually haven’t uploaded any videos to Youtube, have no avatars and have either blank or racist about pages. There is a guy on Youtube with a show who regularly features this “organization” and is therefore, bogus too. I’ll try to look him up again and post his disinfo channel below. You can reply to this message by visiting your messages. The Pete Santilli Show is a Youtube channel and is a good example of a Gang Stalker disinformation, alternative media operation. 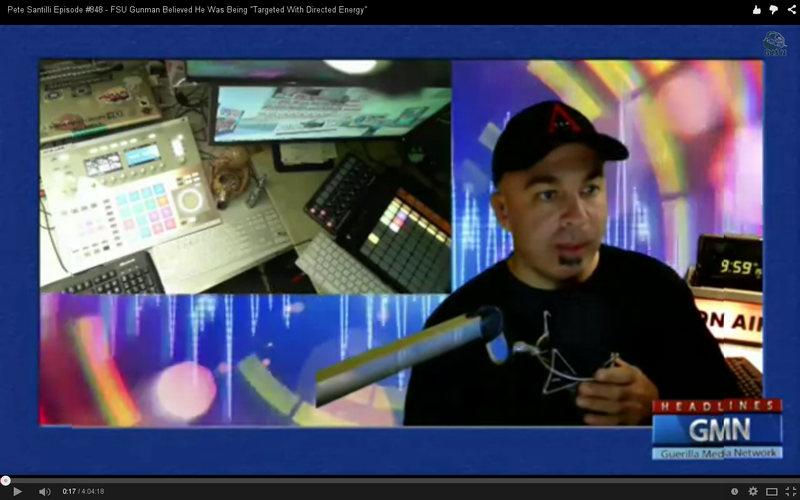 Notice how they try to appeal to the younger demographic with electronic music and aggressive pronouncements. More importantly, the show is a staunch advocate for the above FFCHS. Beware these large organizations that purport to be defenders of Targeted Individuals and against Gang Stalking. In my now year long term of being awake the only legitimate TI’s that I have encountered are lone individuals with amateurish websites, Youtube channels, blogs and message boards. Most TI’s would like nothing better than to forget that such a thing as Gang Stalking even exists. They certainly don’t want to devote their lives to it (I may be the exception). Another tell tale sign that a site or channel is a disinfo portal is that it is much too big to be run by one person (TI’s are overwhelmingly solitary) or cost too much money (skill) to produce. Remember, most TI’s are single, solitary individuals being viciously assaulted by many people, what do you think someone going through that is able to do but merely survive? Office of Special Investigations, at least that’s what it really stands for. A play on words. Spooks like doing that type of thing, they think its funny. They have a Youtube channel and a Facebook page as well. This is an FBI front group from the people who brought us COINTELPRO.